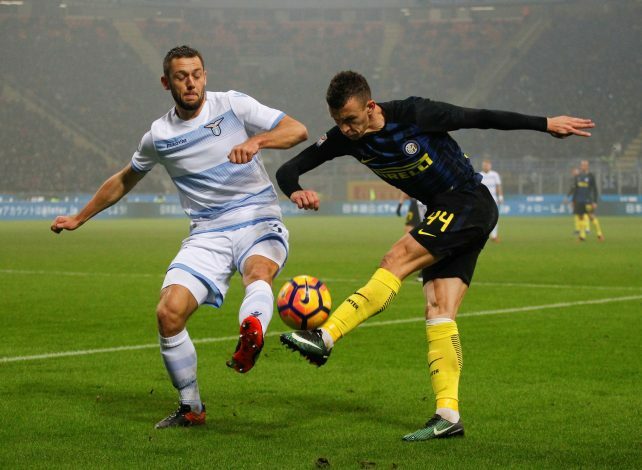 Lazio are ready to offload Stefan de Vrij to Manchester United this summer while Chelsea are also closely monitoring his situation. The Express suggest de Vrij is on the brink of a departure from Serie A and he himself interested in a move to Old Trafford. Latest reports claim United are willing to splash out a hefty £30 million to secure the deal. The highly sought after defender’s current contract runs out at the end of next season. And he’s already turned down an offer to sign a new contract with the Italian giants. Manchester United boss Jose Mourinho has always been a big admirer of the 25-year-old Dutchman. The Portuguese boss even made enquiries about a January deal for de Vrij. However, Lazio were reluctant to let their prized asset leave as they were confident he’d sign a new contract. But with de Vrij digging his heels in, the Serie A side are now ready to cash in. The Netherlands international has overcome a major knee injury to return to the Biancocelesti first eleven this season and has established himself as a key figure in Simone Inzaghi’s side. In turn, it’s no surprise that he has attracted attention from all over Europe, especially the Premier League big boys who continue to look for defensive reinforcements. Manchester United were linked with landing a defender throughout the January window, so the Old Trafford outfit’s interest in de Vrij is quite justifiable as Mourinho looks to bolster his defensive line further. The Portuguese tactician brought in Eric Bailly last summer, but it seems as though he is still in the market for a long-term defensive partner for the former Villarreal man. Meanwhile, having settled on a three-man defence and with Champions League football almost certain to return to Stamford Bridge next season, Chelsea will also require to inject quality and depth to Antonio Conte’s squad.